Meet Phoenix and Chase, a sister and brother who are about two years old. They are spayed and neutered and ready for their new home! Phoenix is short-haired and Chase got the curly (Teddy) gene. Chase is especially active and popcorns on a regular basis. 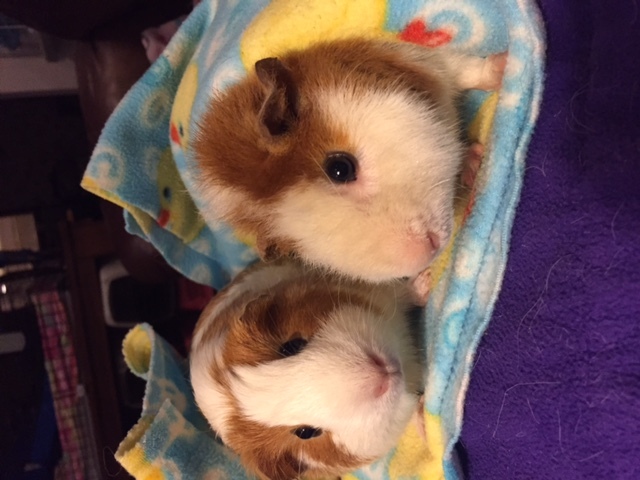 They are both good natured snugglers who would be fine for new guinea pig owners with young children.